ATLANTIC CITY, NJ – Four popular TQ drivers, Matt Janisch, Nazareth, PA, Ryan Flores, Troutman, NC, Andy Jankowiak, Buffalo, NY and Tommy Catalano, Ontario, NY raced to victory Friday night in four 20-lap TQ qualifying races that helped determine the starting order for tonight’s Gamblers Classic, the headline race of NAPA KNOW HOW Weekend inside Atlantic City’s Boardwalk Hall. The four winners each had their challenges before winning the Indoor Auto Racing Series Fueled By VP Race Fuels Friday races. Janisch’s win in the first race came after he survived a tangle with leader Kyle Reinhardt. Joey Bailey ended up second. Flores emerged from a mid-race half-spin on a track slickened by leakage from a rival’s car that took out contender Jeremy Haudricourt, who, unlike Flores couldn’t save his car. Earl Paules finished second. Jankowiak’s unusually conservative driving in the third heat resulted in victory when he flew by Kyle Lick and John Ivy for the win with Ivy holding for second. Catalano and Briggs Danner ran bumper to bumper for half the race before getting together. Catalano half spun and kept going, Danner spun and brought out the yellow flag. Justin Bonsignore was the opportunist, finishing second. A popular win kicked off the Friday night TQ Midget qualifying when Randy Cabral, driving the car formerly driven by victory in Boardwalk Hall by the late Ted Christopher, won the 15-lap Dr. Lowe Non-Qualifiers race. The race, conceived by Dr. Lowe to reward drivers who had not qualified for either of the two Allentown Indoor races earlier this month, conveyed to Cabral a starting spot in the Gambler’s Classic Saturday. In Slingshot heat race action, Dan Morgiewicz, Jr., Al Gerhart and Alex Tardiff won the three events. Tom Hennessey and Chris Predmore climbed out of their wrecked Slingshots, with assistance, after slamming into the fence. Zachary Asklar, DJ Doyle and Tyler Brown won the three Champ Kart heat races. In Friday afternoon qualifying, 61 TQ Midgets took time with Erick Rudolph setting quickest over Anthony Sesely. Rudolph was 52nd to take time, Sesely tenth to post, a testament to the well prepared and consistent racing surface. Andy Jankowiak, third fastest, was 34th in the time trial order while Justin Bonsignore, fourth on the clock, took to the track 13th in the running order. Three TQ drivers spun during their laps on the clock, Brian Montieth, Chad Jones and Joey Jarowicz. Forty-four Slingshot drivers took their shots at the clock and forty-two Champ Kart racers did the same. Saturday, spectator gates to Boardwalk Hall open at 5:00 PM with Fanfest, a meet-and-greet session for premium ticket holders, on the track preceding the races. Saturday racing begins at 7:00 PM with TQ Midget Champ Kart and Slingshot qualifying races leading up to a 20-lap Champ Kart main event and a Slingshot feature of the same distance. The climactic race of the Indoor Auto Racing Series Fueled By VP Race Fuels NAPA KNOW HOW Weekend is the 17thrunning of the Gambler’s Classic over a 40-lap distance. Ryan Flores is the defending champion of the race. 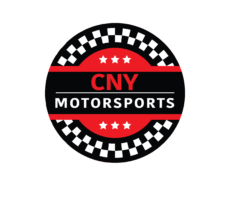 Once the checkered flag falls to end the Gambler’s Classic, the Indoor Auto Racing Series moves to upstate New York over the weekend of March 8-9, 2019 for the first running of indoor racing inside the New York State Exposition Center in Syracuse, NY. TQ Midgets, Champ Karts and Slingshots will be featured and Indoor Auto Racing Series Fueled By VP Race Fuels champions will be crowned in all three classes. First TQ Qualifier (20 Laps): 1. Matt Janisch, 2. Joey Bailey, 3. Tim Buckwalter 4. Jonathan Reid, 5. Patrick Emerling, 6. Andrew Molleur, 7. Bryan Narducci, 8. Brandon Zavarella, 9. Brian Montieth, 10. Kyle Reinhardt, 11. Dakota Kessler. 12. Matt Smith, 13. Brett Conkling, 14. Derek Robbie, 15. Justin Moensch, 16. Erick Rudolph. Second TQ Qualifier (20 Laps): 1. Ryan Flores, 2. Earl Paules, 3. Timmy Catalano, 4. Louie Horvath, 5. Matthew Roselli, 6. Shawn Nye, 7. Jeremy Haudricourt, 8. Anthony Sesely, 9. Chris deRitis, 10. Jeff Kot 11. Lou Cicconi, 12. Bruce Leote, 13. Andrew Nye, 14. Randy Cabral, 15. Ryan Bartlett. Third TQ Qualifier (20 Laps): 1. Andy Jankowiak, 2. John Ivy, 3. Anthony Payne, 4. Kyle Lick 5. Ryan Tidman, 6. Eddie Strada, 7. Steve Kemery, 8. Billy Wease, 9. Joey Payne, 10. Chad Jones, 11. Jack Conover, 12. Bobby Butler, 13. Matt Farnham, 14. Tim Solomito, 15. Marc Rogers. Fourth TQ Qualifier (20 Laps): 1. Tommy Catalano, 2. Justin Bonsignore, 3. Tim Nye, 4. Marc Johnson, 5. Jesse Maurer, 6. Pat Bealer, 7. Joey Jarowicz, 8. Keith Rocco, 9. Joe Toth, 10. Ronnie Mullen, 11. Briggs Danner, 12. Kevin VanValkenburg, 13. Rob Schultz, 14. Tyler Thompson, 15. Cole Mullen.